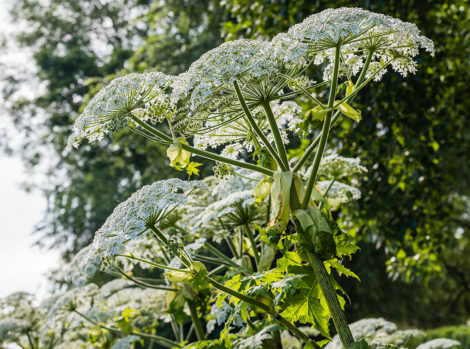 what is giant hogweed and how does it affect you? 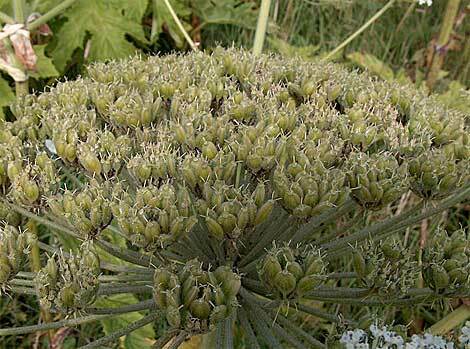 Giant Hogweed is a highly invasive, non-native plant which is injurious to humans and animals. This plant is often found along the banks of rivers where its aggressive growth quickly shades out our native plants reducing their habitat and resulting in bank erosion. 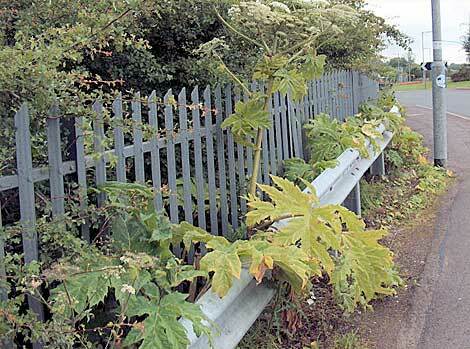 Like Japanese Knotweed, it is a criminal offence to grow or cause the growth of Giant Hogweed. 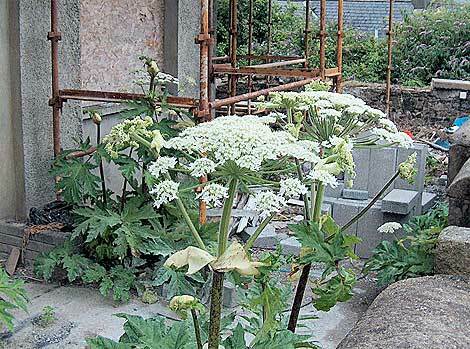 There is more public awareness of Giant Hogweed in recent years with injuries being publicised in tabloids. From a health & safety perspective it is good practice to take measures to reduce the risk where possible. general information about giant hogweed? Giant Hogweed (Heracleum mantegazzianum) is a tall plant which can reach over 3 metres (10 feet) in height. The thick main stems are green/ mottled purple and carry large jagged green leaves which can be up to 1.5 metres wide. The plant flower head can be up to 0.5 metres wide and is formed by flat topped clusters of tiny white of flowers which are held in umbels. The stems stalks and leaves of this plant are covered with fine hairs which give the appearance of the stinging nettle. When Giant Hogweed dies back over the winter it can be identified by the woody stalks or any immature rosettes which remain. Although principally biennial, each Giant Hogweed plant can live for up to 4 years, by this time the plant should have achieved its maximum height and flowering ability. 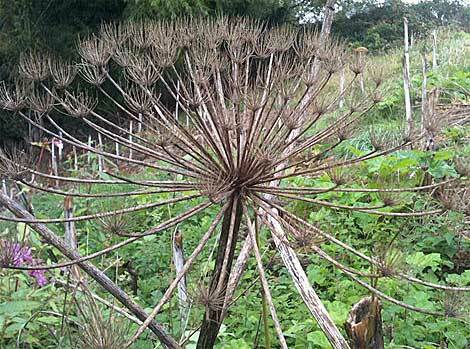 Giant Hogweed spreads by seed with each flower producing up to 50,000 seeds each year. Dispersed seeds can remain viable for up to 15 years before they germinate. 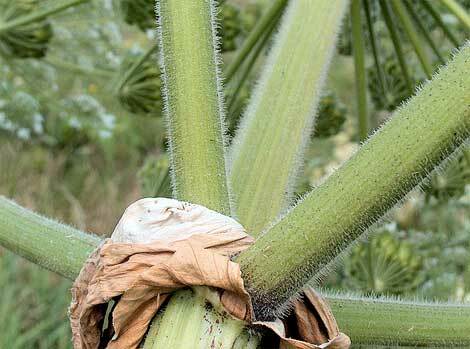 Moving soils containing Giant Hogweed seed will cause spread of the plant. Giant Hogweed has phototoxic sap which causes injury by contact; commonly by brushing against the hairs on the stalks and underside of leaves. A chemical reaction occurs when sap is exposed to sunlight which can result in skin inflammation including severe blistering, scarring and recurrent dermatitis. The effect is often not immediate with bliastering occurring within 24-48 hours after exposure and dense pigmentation visible after 3-5 days. If sap enters the eye it may cause temporary or even permanent blindness. 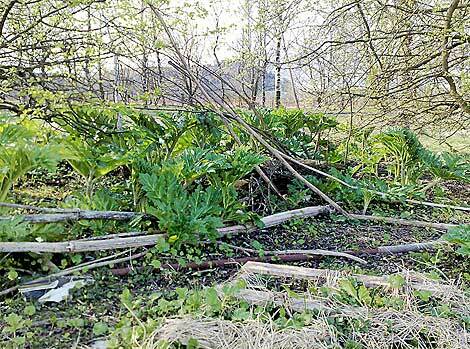 Giant Hogweed sap can become more toxic as the year progresses and the plant is exposed to more sunlight. If working within an area of Giant Hogweed the correct PPE must be worn. In the event that accidental contact occurs, cover the area to keep it away from sunlight, wash the sap off using soap and water or eye wash as appropriate. Seek medical advice. 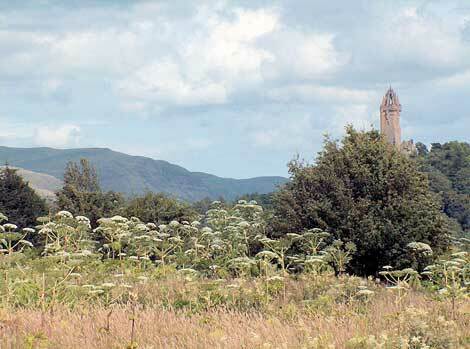 Under Schedule 9 of the Wildlife and Countryside (Scotland) Act 1981, as amended by the Wildlife and Natural Environment Scotland Act 2011, it is an offence to grow or cause the growth of Giant Hogweed; this includes the movement of contaminated soil if not correctly managed. 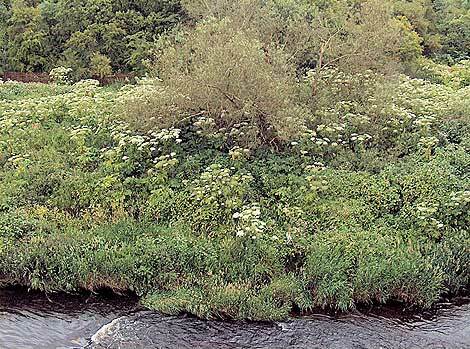 Soils containing the seeds of Giant Hogweed require to be managed under the current Waste Management Regulations. Due to the injurious nature of Giant Hogweed, Local Authorities have the powers to enforce that remedial action is taken to ‘clean up’ Giant Hogweed growth by serving notice under the provisions of the Environmental Protection Act.